3D ultrasound is a medical ultrasound technique, often used in obstetric ultrasonography (during pregnancy), providing three dimensional images of the fetus. 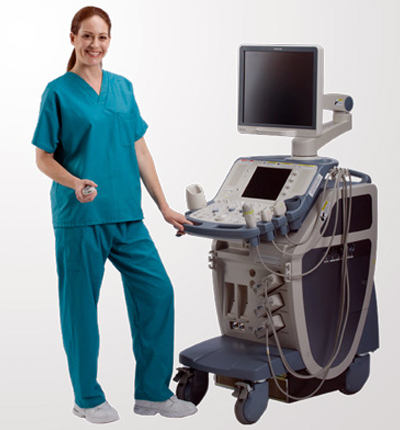 There are several different scanning modes in medical and obstetric ultrasound. The standard common obstetric diagnostic mode is 2D scanning. In 3D fetal scanning, however, instead of the sound waves being sent straight down and reflected back, they are sent at different angles. The returning echoes are processed by a sophisticated computer program resulting in a reconstructed three dimensional volume image of fetus's surface or internal organs, in much the same way as a CT scan machine constructs a CT scan image from multiple x-rays. 3D ultrasounds allow one to see width, height and depth of images in much the same way as 3D movies.